David Lynch himself is among the stars set to feature in the upcoming reboot of Twin Peaks, which will air on Stan starting next Monday, May 22 (Showtime on Sunday night in the US). Seen below in the latest trailer (which as with previous trailers reveals very little), Lynch is part of an incredible cast that features familiar faces and the sort of star power only a cult TV show can bring. With 18 episodes said to have been cut down from one long shooting piece, little known about the plot other than Showtime president David Nevins saying, “the core of it is Agent Cooper’s odyssey back to Twin Peaks” in Indiewire. 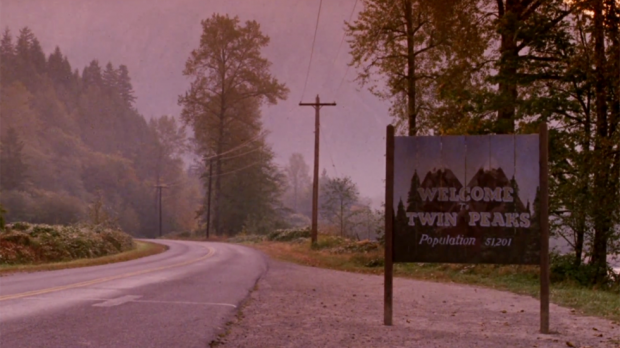 Unlike the previous seasons of Twin Peaks from 1990 and 1991, Lynch will direct every episode of the new series. But getting back to that cast. New additions are said to include Monica Bellucci, Jim Belushi, Michael Cera, Jeremy Davies, Trent Reznor, Laura Dern, Robert Forster, Tim Roth, Jennifer Jason Leigh, Ashley Judd, Tom Sizemore, Amanda Seyfried, Matthew Lillard and Naomi Watts, many of whom have worked on previous Lynch films. In the trailer below alone you’ll find returning cast members Lynch, Kyle MacLachlan, the late Miguel Ferrer, Kimmy Robertson, Harry Goaz and Mädchen Amick, plus new characters played by Ben Rosenfield, Madeline Zima, Melissa Bailey, Kathleen Deming, Gia Carides, Jessica Szohr and Nicole LaLiberte. Other returning cast members include Sherilyn Fenn as Audrey Horne, Sheryl Lee as Laura Palmer and Maddy Ferguson, Dana Ashbrook as Bobby Briggs, David Duchovny as Denise Bryson, Michael Horse as Tommy “Hawk” Hill, Peggy Lipton as Norma Jennings, Carel Struycken as The Giant, Russ Tamblyn as Dr. Lawrence Jacoby, Ray Wise as Leland Palmer, Julee Cruise as the Roadhouse Singer, and several others. The new series of Twin Peaks airs exclusively on Stan from next Monday, May 22. Seasons one and two are available for streaming on Stan now.